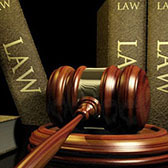 All material contained on any this website is protected by federal and international copyright laws and treaty provisions and may not be reproduced, copied, edited, published, transmitted, uploaded, distributed, publicly performed or otherwise used in any manner, except with the prior written permission of The Law Office of Stephen M. Dodd. No material found herein may be reproduced or used for commercial purposes without the prior written permission. Please read the information on this page carefully before surfing this website. Navigating the pages of this site constitutes acknowledgement that you have read, understand and agree to be bound by the terms set forth herein. If you do not agree with or do not wish to be bound by all of our terms and conditions, kindly exit the site immediately. All material published herein are protected by copyright, trademark, and all other applicable intellectual property laws, and are owned or controlled by our law office or the party credited as the provider of such content. You shall abide by copyright or other notices, information and restrictions appearing in conjunction with any content accessed herein. This site is protected by copyright as a collective work and compilation, pursuant to federal copyright laws, international conventions and other applicable intellectual property laws, rules and regulations. Except as may previously/otherwise be set forth, you may not reproduce, modify, adapt, translate, exhibit, publish, transmit, participate in the transfer, rental or sale of, create derivative works from, distribute, perform, display, reverse engineer, decompile or dissemble, or in any way exploit, any of the content, software, materials, or our service in whole or in part. Copying or storing of content for any purpose other than your personal, non-commercial use is expressly prohibited without express, prior, and written permission from either us or the copyright holder identified in the individual content's proprietary rights notices. For purposes of clarification, but not limitation, including any content (in whole or in part) on your personal website, when it is accessible to any other person, shall not be construed as personal use and is not permitted. You agree that all information, feedback, questions, comments and submissions to any posting forum that you provide to us will be deemed to have been provided to us on a non-confidential and non-proprietary basis, and you grant the firm a nonexclusive, royalty-free, perpetual, irrevocable, and fully sub-licensable right to use, reproduce, modify, adapt, publish, translate, create derivative works from, distribute, and display such content throughout the world in any media. We shall have no obligations or liability of any kind to you or any third-party with respect to any submission and shall be free to reproduce, use, or distribute any submission(s) for any purpose whatsoever, without limitation. You waive any rights you may have in modifications or alterations to your submissions or in the event that your submission is changed in a manner not agreeable to you. We neither represent nor endorse the accuracy or reliability of any advice, opinion, statement or other information displayed, uploaded, or distributed herein. You hereby acknowledge that the use of the site is at your sole risk.